It has been a busy year for the small village of Kirknewton – as we approach the beginning of 2012 I thought it would be interesting to reflect on the last twelve months. The Kirknewton blog is launched to keep you fully informed of all developments in the village over the year! Kaspars, the pre and after school club that was started and run by a group of volunteers in the village, is taken with thankful support from the committee by Simply Play. This will provide umberella support and resources to improve the service. I Love Kirknewton community consultation takes place, funded by the Big Lottery. You are asked what you like about Kirknewton, what you don’t like and what you would like to see happen. Over 500 people participate in the consultation and the work is regarded by the lottery as an example of good practice. The Development Trust continue to work on investing in an anaerobic digestor, with potential bids for food waste collection and the building of an AD plant being considered. Discussions also ongoing with Fauch Hill wind farm developers EFRG as they begin to consult with the local community their proposals. All turbines are proposed to be within the Kirknewton community council boundary. The Development Trust organise a talk on Wood Burning stoves and using wood for winter fuel at the Village Hall. 40 people attend the event. They also begin feedback on the community consultation and present the ‘Big Ideas’ from the village at another drop in event. The new Kirknewton Pottery range is launched at Potter Around at an event with MSP Angela Constance. A new Kirknewton Riding and Trekking school is also announced. The Development Trust begin the 6 month Food Waste Trial to prevent food waste going to landfill and to provide data for the proposed AD plant. Their are 15 bin champions appointed and over 260 homes take part. The Fauch Hill windfarm develops with some turbines moved into the West Calder and Harburn Community boundary. Kirknewton insist West Calder and Harburn join any discussions about community benefit or potential investment in the wind farm alongside the Kirknewton Development Trust. A large road and an underpass are agreed to replace the level crossing at the train station. Village opinion is largely not in favour of the proposals and Network Rail later announce they hope to put in a double barrier instead. 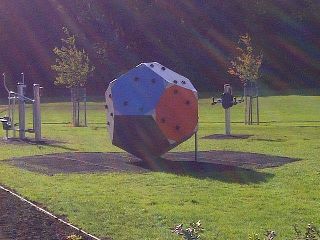 The new playpark is opened, just in time for the ‘summer’ that was April. It is well used! A Park Action Group begins to help West Lothian Council develop the park throughout the year. Kirknewton Powerdown funding ends and, after two years in the village, we say good bye and thanks to Lisa Morton and her team. They end with a fantastic ‘Meals and Wheels’ event at which over 300+ people attend. The Clan cycling team make an appearance, cycle use is promoted by groups such as West Lothian Clarion and local food and drink is consumed and enjoyed! The Community Consultation paper is published online at http://issuu.com/kirknewton/docs/kirknewton_final_report2011.1 – we begin consulting about where to put our recycling bins (still waiting!). A copy of the ‘I Love Kirknewton’ community consultation is sent to the local history library in Linlithgow. Kirknewton Primary School pupils win the Scotland Euroquiz at the Scottish Parliament. The draft Kirknewton Development Plan is launched for consultation. June seems to be the month for consultation! The police launch a consultation on local community policing and safety. The Kirknewton Gala happens. Like most of the Gala’s in West Lothian during the ‘summer’ it rains. And rains. And rains. But the residents of Kirknewton stay and enjoy the event til the bitter end. An increase of Lem Sip being purchased is recorded afterwards at the local shop! Kirknewton come 33rd out of nearly 1000 community groups on energyshare for our proposed hydro scheme at Harperrig Reservoir. We are in the last 100 but don’t make the final cut but help support the Portobello and Leith Community turbine project, and they win £80,000 by only 30 votes! MP Liam Fox announces a proposed new super barracks to be based at Kirknewton airfield just before the summer recess at parliament. The national media turn up in our ‘sleepy village’ for comment – most of us are on holiday! Kirknewton representatives attend a meeting in October but there is no new information scheduled until Spring 2012 at the earliest. The Cyrenians Farm have an open day at Humbie Holdings. The Park Action Group announce a potential new path around the park – it is completed by the end of September. The first Police Drop In takes place at the Development Trust office. The Police Drop In event takes place monthly thereafter. The Lord Academy of Performing Arts continues throughout Saturday and Cathy Bird Highland Dance moves to Friday evenings, both in the Village Hall. Network Rail announce their new proposals for the level crossing. Angela Constance MSP has her first surgery in the Development Trust office. The Development Trust take on the lease of the 24 Main Street office for another twelve months and extend the Development Officer contract til at least April 2012. The food waste trial ends after a successful and well received six months. Work begins on convincing West Lothian Council they should consider funding the project until their own food waste scheme begins. Work begins on the new path around the park and the new Outdoor Gym is installed. The Cycle Path Development Group, inspired by the Meals and Wheels event, kicks off looking at potential cycle/multi use paths at Selm Muir wood and cycle/multi use paths to it from the village centre. By December discussions begin with the Forestry Commission and initial plans are drawn up for potential routes from Kirknewton in and around Selm Muir wood for further consultation. We bid for RBS Community Force money for the initial paths but 100 supporters unfortunately does not take us to the top 3 groups. Currie Playgroup get a £6000 award with over 400 supporters. The Post Office launch an initiative to buy and sell second hand books. Please go and pick up a book or two to read for your Christmas holidays today (£1 softback, £2 hardback – bargain)! The PO also provide a facility to take out cash with any cash card during opening hours. Kirknewton playgroup have a fundraising bingo night and the Allotment Association have their first Kirknewton Apple Day event. Local MSP Angela Constance and Councillor Dave King choose their favourite village Apple Pies and Halloween lanterns. Over 200 people attend the event and £300 is raised for the Allotment Association. 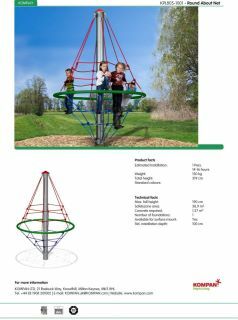 Consultation begins on replacing the roundabout in the playpark with a revolving climbing/rope frame. The Kirknewton Community Development Plan for 2012-2015 is made available online http://www.issuu.com/kirknewton/docs/community_development_plan_nov_11 – this plan was developed from the community consultation is February 2011 and is based around five themes. The themes are Community Development and Volunteering, Community Facilities and Services, Local Environment and Green Space, Planning and Strategic Development and Local Economy & Training. The Kirknewton Community Skills and Volunteer survey is launched for 11 days from 11.11.11 to 22.11.11. Good attendance at Remembrance Sunday event. The village goes Zumba crazy throughout the year and a new club begins at the Village Hall every Thursday. Bulb planting takes place in the park by a willing group of volunteers. It is hoped that a new park youth art project will take place in the spring, a potential skate/bike area will be made available and that the basket swing will survive (as it will not be replaced again)! 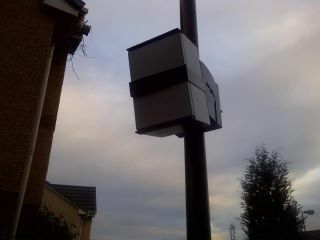 Cars speed are monitored at Hillhouse Wynd following a meeting with Edinburgh police, local road planning and the local councillor. Network Rail inform us over 1000 more cars a day go over the level crossing since 2010. The Parent Staff Association Family Ceilidh at the Kirknewton Stables is a sell out and fun night that raises funds for the school. The Parent Council launch an online group to discuss school issues and to help support each other through the primary school years! The snow comes back! But it is wind that will close the school! Christmas comes but once a year – but the food waste scheme will continue to March 2013 thanks to a grant from West Lothian Council. Thanks especially to Councillor Carl John for his help on achieving that outcome. If you want to take part in the scheme caddies are still available from the Development Trust Office. We hope an agreement with EFRG/Fauch Hill wind farm and the West Lothian Development Trust will be reached soon. That planning permission and building warrant will be granted for the new Resource Centre. That we will be able to match volunteers/skills to the five themes of the Development Plan an help faciliate more youth groups in the village. That we can update you shortly on traffic calming in the village, the provision of recycle units, the level crossing and continue work on the park and cycle/multi use paths. And by spring we hope to have more of an idea about the impacts of the proposed Kirknewton super barracks. So – another busy year ahead! I hope you enjoyed the whistle stop tour over the last 12 months. Thanks to everyone who contributed in any way to the work of all the community groups and events. Apologies if I missed anything out – please feel free to share any landmark moments you may have had in the comments section. From all at the Development Trust have a Merry Christmas and a Happy New Year. What a fantastic round up of the year Tony. Let’s hope 2012 is as successful as 2011!